Provide comfort for the family of Angela Boyer with a meaningful gesture of sympathy. Angela Boyer (nee Tancredi), 94, passed away peacefully on March 27, 2019 at her home in Spring Hills Cherry Hill. Born in Belleville to Michele and Antoinette (Trotto) Tancredi, she had been a longtime resident of Westfield. She had also been a longtime member of the local Presbyterian church with a strong faith in God, heaven, and an everlasting life. After graduating high school, Angela attended secretarial school and became an executive secretary for Bamberger's department store. She met her husband, Eugene, at a dance. The couple had been married for approximately 60 years. Angela took a break from her career to become a homemaker. She and her husband had three children and lived in Westfield since 1963. During that time, their family enjoyed traveling, with trips that included California, Florida, and Hawaii. Angela had a sense of adventure sometimes planning and boarding planes with her children for quickly planned vacations. Her commitment to Jesus and her desire to see the Holy Land took her and her daughters to Israel. When her children were all in school, Angela resumed her career as a clerical worker for a drug distribution company where she remained until retirement. She had a firm belief that women should be financially independent to care for their family. With the blessings of her boss, she organized a union for a handful of women co-workers to secure pension benefits. In retirement, Angela and her husband continued to travel extensively throughout the United States and abroad. They cruised to Alaska, vacationed in Australia, and toured Italy, seeing the countryside where Angela’s parents had lived before they immigrated to the United States through Ellis Island. Throughout life, Angela, one of 10 siblings, valued the time she spent with her extended family, daughters, and six grandchildren. She loved taking the kids to various activities and shopping. She had an appreciation and keen eye for bargains whether she was buying groceries, clothing, or videos she kept on hand for her grandchildren. She was known as a feisty woman who stood up, unwavering, for her beliefs while showing compassion and generosity for others — always sharing her faith in God. In addition to her husband Eugene, Angela is survived by her devoted daughters, Cheryl Roman, Jean Boyer, and Barbara Boyer; 6 grandchildren, Cara Roman-Williams, Danielle Powell, Emily Russo, Gabrielle Russo, Dorothy Ware, and Isabella Ware; her beloved sister, Annette Petrozziello, and numerous nieces and nephews. Visitation will be at Dooley Colonial Home, 556 Westfield Ave., Westfield on Sunday from 3-6 PM. A Funeral Service will take place on Monday at 11:30 AM, with visitation that morning from 10-11AM, both at The Presbyterian Church in Westfield. Interment will follow at Fairview Cemetery, Westfield. Donations may be made in Angela's honor to the Lupus Research Alliance. 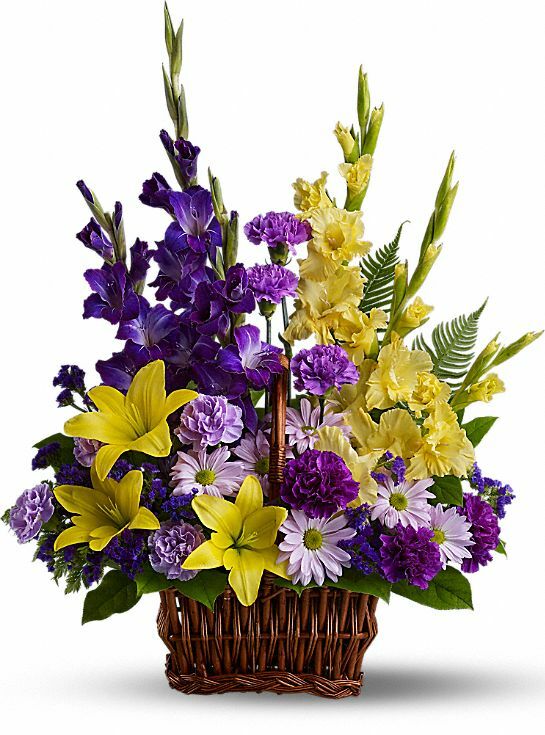 To send flowers in memory of Angela Boyer, please visit our Heartfelt Sympathies Store. David, Christine and Virginia Ware sent flowers to the family of Angela Boyer. To the family of Angela, Words can not express how very sorry I am for your loss. Angela was dear to all and I can not imagine how difficult this is for you. Please accept my deepest condolences and may the words at Acts 24:15 bring a measure of comfort and strength to your family now and in the days to come. To Barbara, Dorothy, Bella and the Boyer Family, We are thinking of you. David, Christine and Virginia Ware purchased flowers for the family of Angela Boyer.